The dreaded double chin. Some people are prone to it, despite their best effort to maintain a healthy weight. Thank goodness for Kybella! Injected directly into the submental fat (fat below the chin), Kybella actually melts the fat away. The majority of people will require more than one treatment, with most seeing great results with two to four treatments, spaced at least one month apart. Kybella has only been approved for people 18 and over, and currently is not approved to be used in any other area of the body. Ditch the turtlenecks! Say goodbye to your scarf collection! 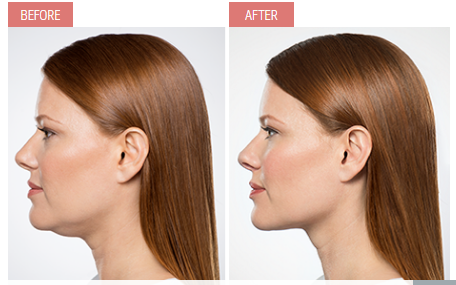 Give us a call to schedule a FREE consultation and find out if you are a good candidate for Kybella today!